By nature, a majority of wealthy people have a desire to give back financially. Whether they are giving money to the school where they got their degree or to the religious organization in which they were raised, there is an inclination for those who have to give to those who need. Funds for citizens who have faced natural disasters, organizations working toward environmental solutions, or social groups attempting to right cultural wrongs all require donations to support their efforts, and wealthy investors are willing to do their part. But wealthy investors also set limits, and must make decisions on who to give money to and how much money to give. Certainly, wealth level plays a role, but so does age, as attitudes towards charitable organizations changes over time. Likewise, wealthy investors have to ensure they are donating to organizations which run a tight ship administratively and actually use a majority of the funds to do the work they purport to do. 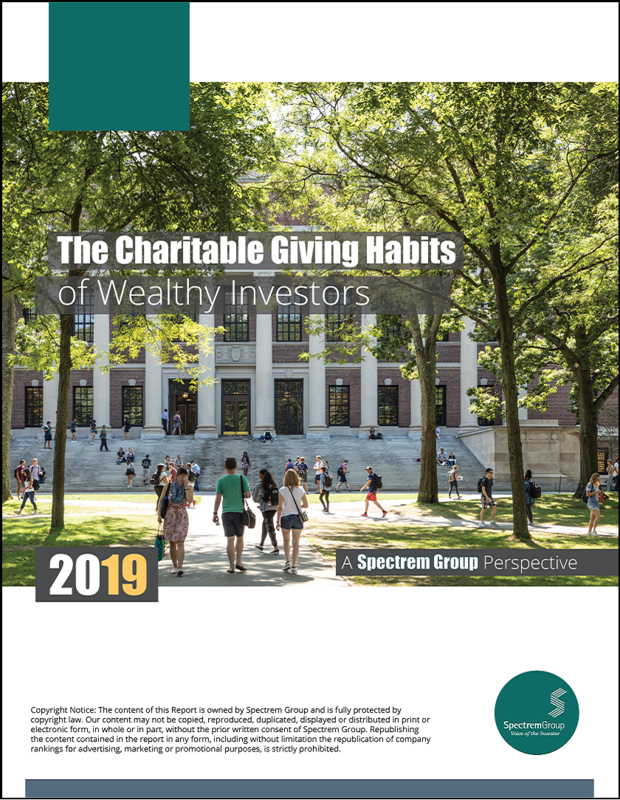 The Charitable Giving Habits of Wealthy Investors explores wealthy investors' attitudes and behaviors toward charitable giving, including the amount given to charity annually, which kinds of charities receive donations, changes in donation habits, and motivations for donating. The study also includes findings related to the knowledge, interest and use of donor-advised funds and impact investing.